You can now get the latest headlines and weather updates from WNCT 9 On Your Side on any device with Alexa. Our anchors and meteorologists will provide you short updates on the news and weather in eastern North Carolina, so you will always be up to date. 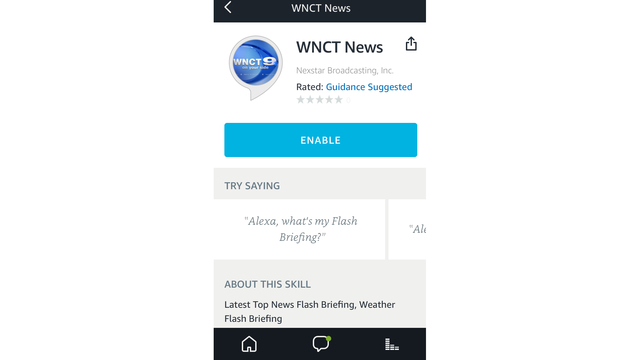 It's easy to add WNCT News to your flash briefing list by searching for "WNCT News" in the Skills section of the Alexa app. You can also click/tap here for a direct link. 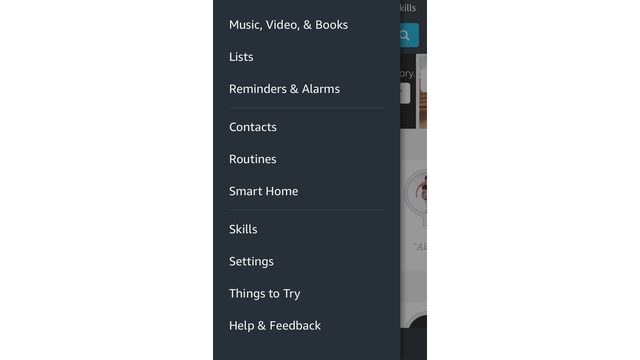 Open the Alexa App, on iOS or Android. Select "Skills" from the dropdown menu and search for "WNCT"
Tap on "WNCT News" in the search results and choose "Enable Skill" to add WNCT to your flash briefing. Scroll down to the Accounts section and select Flash Briefing. In the On section, use the toggle next to each available news program or service to add it to your Flash Briefing. Select Get more Flash Briefing content to find additional news services in the Alexa Skills store. You can select Edit Order to arrange when your selected news programs play during your Flash Briefing. Some programs also have additional feeds you can add to your Flash Briefing. You can find them in the Off section. Note: If you have a voice profile, when Alexa recognizes your voice, Flash Briefing skips the news stories you've already heard. If you want to hear all available stories, you can say "play all my Flash Briefing" or "play all my news."